The Xiaomi Mi 4i is no powerhouse and its specs shout mid-range all-around, but it packs a high-res 1080p display, which may be a bit too taxing on the GPU. 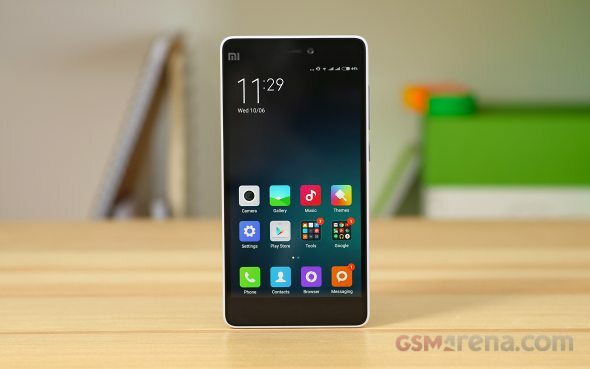 The Mi 4i is powered by a Qualcomm Snapdragon 615 SoC, which was created for the mid-range market. It consists of a total of eight Cortex A53 cores, four clocked at 1.7 GHz and the other four at 1.1 GHz. The GPU in charge of graphics is Adreno 405, which isn't very impressive, especially running at Full HD. Finally, there is 2GB of RAM. Xiaomi pushed a major firmware update already, which should be fixing the widespread overheating issues. Indeed we tested the device before the update and it got so hot under CPU pressure that we became concerned for its well-being. The update tunes down the processor, when it reaches a temperature threshold and prevents the device for getting too hot. The Mi 4i still gets really warm, but now we are not afraid it will catch fire in our hands. It seems the latest generation Snapdragon chips are plagued by overheating issues and the only solutions is CPU throttling. While the 8-core CPU seems like a great on paper, especially with the high core clocks in the Mi 4i, it can only be unleashed to show its full potential for very short time periods. We ran GeekBench 3 CPU test before and after the firmware update and we found out a firm 15% drop in the score. The Mi 4i still does OK - it offers almost the same CPU performance as other Snapdragon 615 devices (Sony Xperia M4 Aqua, Oppo R1x, HTC Desire 820). Yet four Krait 400 within the Xiaomi Mi 4 (Snapdragon 801) still do better than those 8 Cortex-A53 cores in the Mi 4i. The compound AnTuTu puts the Xiaomi Mi 4i once again very closely to the rest of the Snapdragon 615 gang, though beating it by a hair. Another compound benchmark we ran was the Basemark OS II. 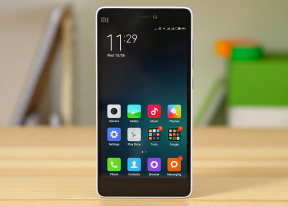 The Mi 4i did fine here, scoring the same as its chipset stablemates. The Sony M4 Aqua did slightly better, but it has the advantage of lower-res display. The Cortex-A53 per-core performance is similar to others available in this price range, beaten only by the faster Krait (Mi 4, Xperia Z1 Compact) and Cortex-A17 (Vibe X2). The multi-core score is rather disappointing though. GPU tests confirmed our suspicions - Adreno 405 is not cut out for high-end gaming on a 1080p screen. Here the Adreno 330 GPU performs twice as well. Look at the 1080p onscreen tests as the Sony Xperia M4 Aqua has a 720p screen, while the Xiaomi Mi 4i needs to render at 1080p natively. The Basemark X GPU tests gauges only the offscreen performance, where the Adreno 405 in the Xiaomi Mi 4i isn't at disadvantage. The competitors are not doing much better here. Still, general browsing the web is generally smooth and fast as BrowserMark 2.1 confirms. It puts the Mi 4i above a good number of quite powerful devices. The Mi 4i handles processor intensive apps well, though it does get rather warm. However for gaming we'd look for an alternative - the Adreno 405 is just not up to the 1080p task. The web browsing experience is solid, while the overall Android+MIUI experience is very smooth.